Toys As Tools Educational Toy Reviews: Hey! It's ADHD Awareness Month + The "Be Your Best Executive" Giveaway! Hey! It's ADHD Awareness Month + The "Be Your Best Executive" Giveaway! Send this article to your friends and family- ADHD or not, they're good toys! It's ADHD Awareness Month! I'm a little late in announcing it but you'll let this one slide, right? Can you name a better way to be aware and share your awareness of ADHD other than to spread my story within your circles? (of course you can but we're friends, right?) Tell your friends and family all about ADHD and you can use my article for the preschoolers in your life. Here are fave resources that I love for the topic of ADHD. Well obviously, first on this list is the website and quarterly magazine that was forward-thinking enough to discuss which toys can promote good social skills in preschoolers with ADHD. Learning to take another's perspective will not only promote good social interactions but it will do much to help a child in the future with his reading and writing. 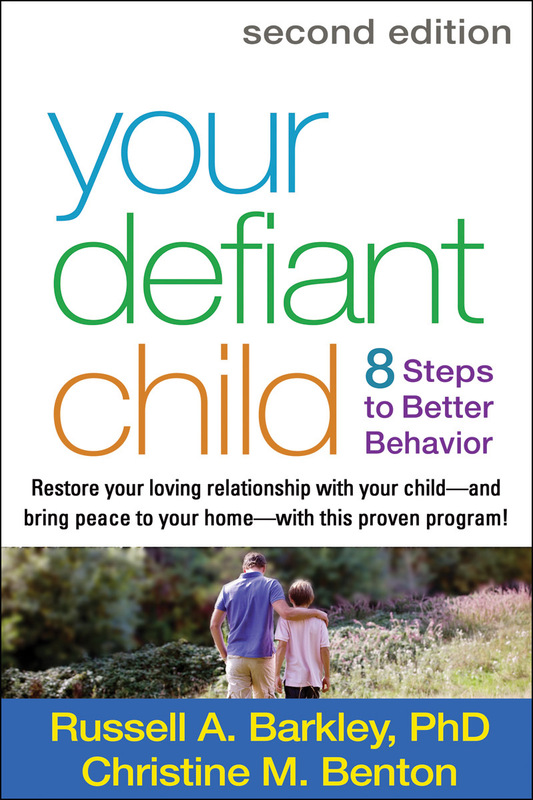 Go to ADDitudemag.com to discover a vast treasure trove of resources developed to support everyone in your child's life. Right now, for this month, ADDitude is doing a 31 Myths in 31 Days- Debunked! where they are knocking out myths about ADHD. I love them all (not the myths, just the knock-out part). Click this picture to go directly to the slides. I think I need to move to Connecticut because Dr. Thomas Brown is there and so is the Yale Center for Dyslexia and Creativity. I would just hang out in their offices like a groupie and soak up the knowledge. However, I am still in NYC, so in the meantime, I can read Dr. Brown's slides over and over again. If you know about ADHD, then you really need to read this! They cover executive functioning here and I think I must have sent the Brown Model of ADD/ADHD over thirty times to various people this month. And most of them thanked me for it! If you haven't seen it, you must! I love this book! It looks like the 2nd edition was published this year! (but I read the 1st edition) I think I read this when #1 was just four years old! ARGH! Wonderfully written and I think, it was rather easy to implement the strategies given. I love the part where "special time" is discussed. I love the technique that Dr. Russell Barkley described where the adult narrates what a child is doing. The response is mysteriously magical. I have received parent training that incorporated that technique. It's really cool! Dr. Barkley's work also gave me the idea to use the MotivAider on myself first! BRILLIANT! By the way, Dr. Barkley also did a webinar for Additudemag.com and it is fantastic. I was floored by his oomph and super-deep knowledge about ADHD. Oh, and don't be fooled because it's a podcast. You won't be kicking back to listen and soak it up. No, you will be highly alert and paying close attention because he does not mince words here. This is a must-listen. MUST. Share it please. My little square executive hero! We are giving one away and the winner will be quite lucky because it retails for $60! Have you ever wished that you can be a fairy and whisper into your child's ear at any point in the day, even if he is at school? I have something better than a fairy. I have the MotivAider. I actually have two! One for me and one for my kid. Simply put, you are programming yourself to think of a self-prompting message every time the MotivAider silently buzzes on your person. Choose the phrase you would have wanted your fairy to say like, "Eyes on work" or "What am I doing right now?" or "Whole Body Listening" or "good, you didn't eat a cookie since the last time this buzzed." Oh yes, folks, this is perfect for watching your weight because we can all use help to self-regulate! It's all about being your own best executive. Read my review featuring the interview of school psychologist Beverly Whalen-Schmeller, of Metro Nashville Public Schools. I love her! A website dedicated to a community of parents who have kids they truly love with all their heart but nevertheless are very challenging to raise. Buy the anthology that features the work of great writers (and my pals) Kay Marner and Penny Williams. This website is run by co-editor of the book, Adrienne Bashista who also runs the website below. 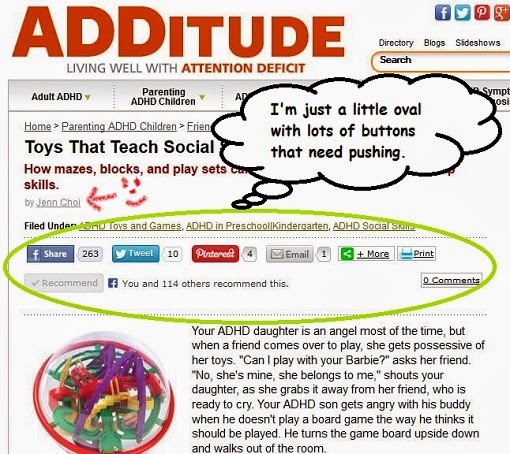 features thoughts shared by parents of children living with ADHD. The eclectic mix of opinions provides great perspective on how ADHD affects not only our kids but parents too. You will find everything from tips on discipline to toy reviews (hmmm... I wonder who wrote those). More importantly, you'll find a community you can count on, especially on their Facebook page. Ask a question, and editor Adrienne will help you find answers. Wow, there are some seriously thoughtful parents out there. I love it. The red part disappears as time passes. We compared it to kitchen timers and guess what? Kitchen timers were inaccurate with their measurement of time. UGH! My kid figured this out. So guess who won't accept kitchen timers anymore. I could never ever talk about ADHD without talking about the Time Timer. I know there are apps and watches but my favorite will always be the Time Timer. I haven't tried the newest cutest one yet but I really do love my 8 inch. It's big enough so I can find it easily in the house. (I have about three 3-inch ones at home too). I can hang it up or it can just be the big red thing staring at my son as he does his homework. This is truly an outstanding invention. 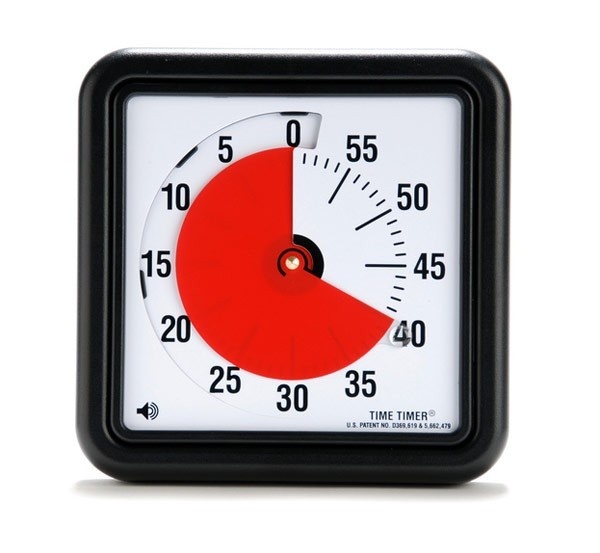 I don't care if you have ADHD in your family or not, this is a wondrous time management teaching tool and what is the number #1 problem for pretty much every working person today? Call it whatever you want, prioritizing, organizing, planning, setting goals... whatever, it's all about managing yourself -being a good executive. If you know that every adult battles this issue, why wouldn't we start training our kids while they're young. The Time Timer is an easy way to teach time management to kids. Read my super-fan review of Time Timer. Since I live in the land of toys and games, I would lose my street cred if I didn't at least talk about one game! 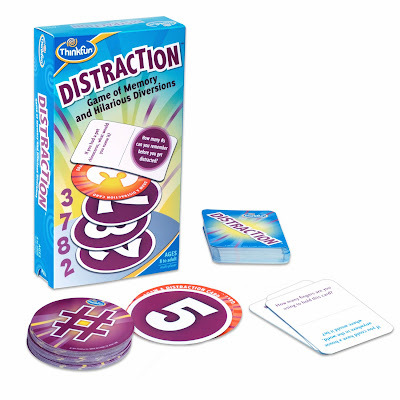 Distraction is a game that gives your working memory a real workout! 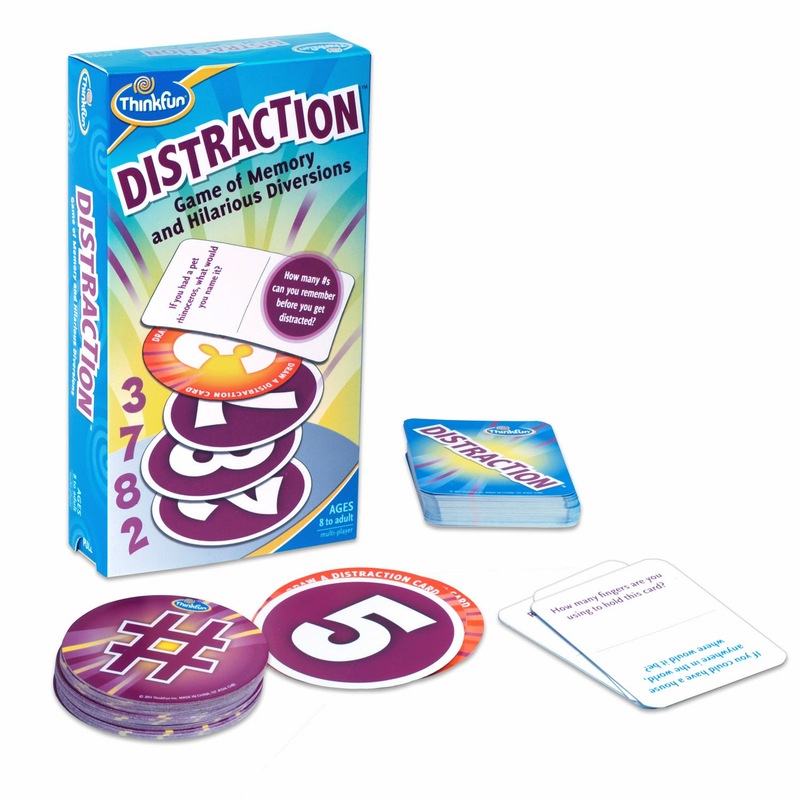 But unlike other working memory exercises, this game uses the good humor of writer Patrick Matthews (author-Dragon Run) to seal the deal. 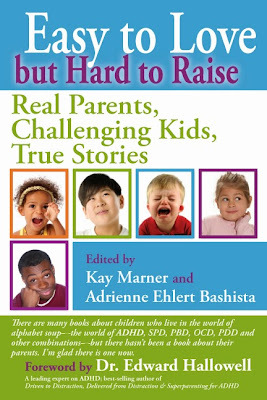 Read my review that includes input from child development expert and NYU School of Medicine professor Karen Hopkins. Saving the BEST for last. I am so motivated by Cookie Monster! My kids have memorized his song. Oh yes, these are precious LEGO pieces. Hey man, fight fire with fire. 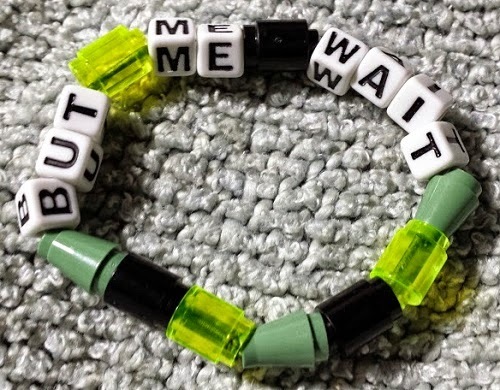 Cookie Monster has also said, "Me Self-Regulate" and "Me Functioning Like an Executive"
My kids and I made these bracelets to celebrate Executive Functioning Awareness- when's that month- I think that's this month- that's the point! 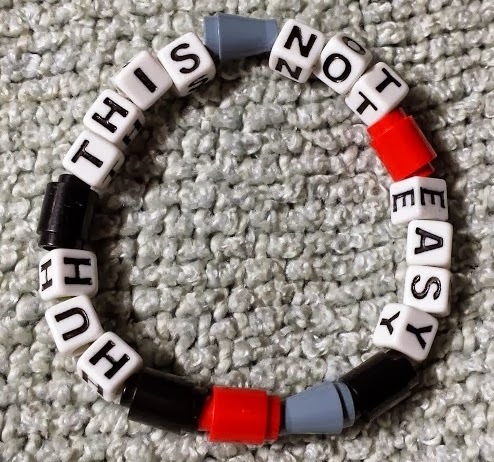 And I know it will take more than a song and a bracelet to teach kids better self-regulation but I am more optimistic now that Cookie Monster is my ally! Okay-enough! Time to Spread Your Awareness and win your Motivating MotivAider! You will love love love it. I have two and I guard them with vigor. But they are tough- one has even survived a near-drowning experience. A wholehearted special thank you to my little square friend for putting yourself up to be given away! Want to get these amazing helpers on Amazon? Use my link to support Toys are Tools! Disclosure: Toys are Tools was not compensated by the manufacturer(s) for the publication of this review. The reviewed items were provided to Toys are Tools to facilitate a review. Reviews are never promised. Thanks, Jenn! I needed this aggregate of ADHD resources. Regarding executive function helpers, the Time Timer is definitely helpful for us throughout the day, along with other tried and true basics like using visual schedules, breaking down big tasks into smaller parts, etc. 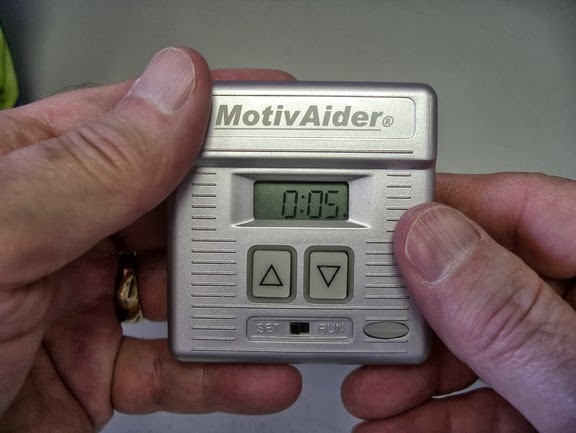 I love the idea of the MotivAider, which might help No. 1 son take on more self-organization. Always learn from your site! The MotivAider is really awesome. LOCKLACES: Free Ship Coupon Code Extended!